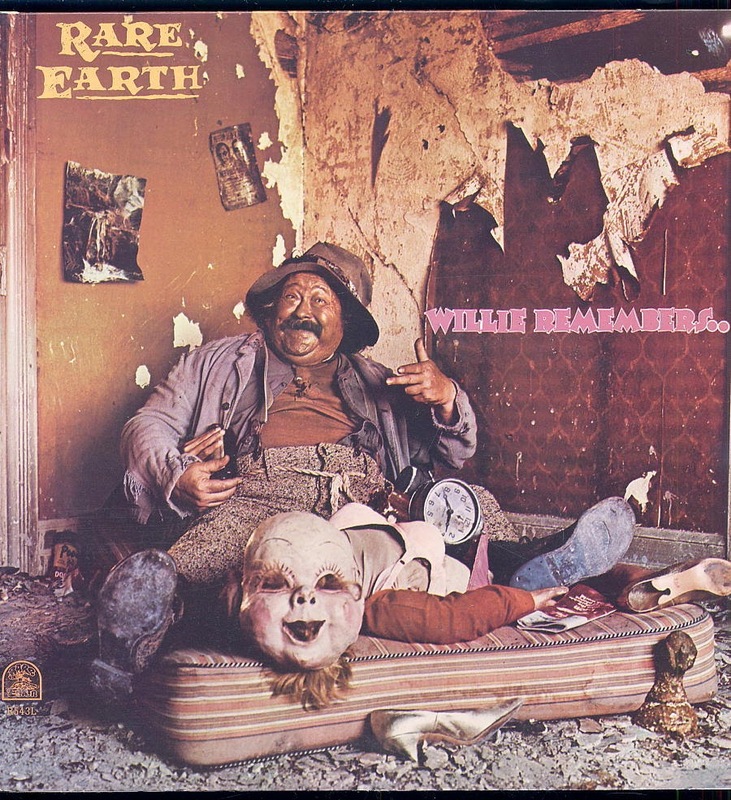 Based in the Motor City (Detroit, MI, USA), hometown to such (in)famous rockers as The MC5 and The Stooges to name but two, psychedelic influenced rhythm and blues rockers Rare Earth were notable on at least three accounts. First and probably most importantly they were the first white band signed to Berry Gordy’s prestigious Motown label, receiving their own eponymous imprint, Rare Earth Records. Second, the band’s front man and lead vocalist was their drummer. Finally, the band’s repertoire consisted almost entirely of cover versions. During the 5 year period, 1969-1974, they were one of the hottest acts in the land (the USA), releasing 6 albums (5 studio and 1 live), as well as a string of 5 hit singles (followed by a few near misses) that ensured the band lots of Top 40 AM radio time, as well as extended album cuts that garnered the band airplay on the newly emerging FM radio market. As a result Rare Earth consistently scored highly on the Billboard charts, albums and singles alike, and achieved this despite a rather limited repertoire of original material. In fact, all of the songs the group was best known for, and continues to be remembered for, were cover versions and this occurring at a time when original material was deemed absolutely essential to success in the ever burgeoning rock market. 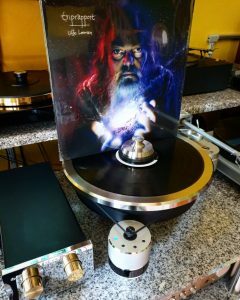 Being a huge fan of Rare Earth as well as a rock historian I invite you to join me on this adventure, tracing Rare Earth’s musical life (5 years worth anyway) by way of the tracks released during the period, documenting my journey along the way. The band’s self-produced, heavy rocking rhythm and blues debut LP “Get Ready” entered the Billboard pop charts on 6 December 1969, peaking at #12 and remaining in the Top 200 albums for an impressive 77 weeks. 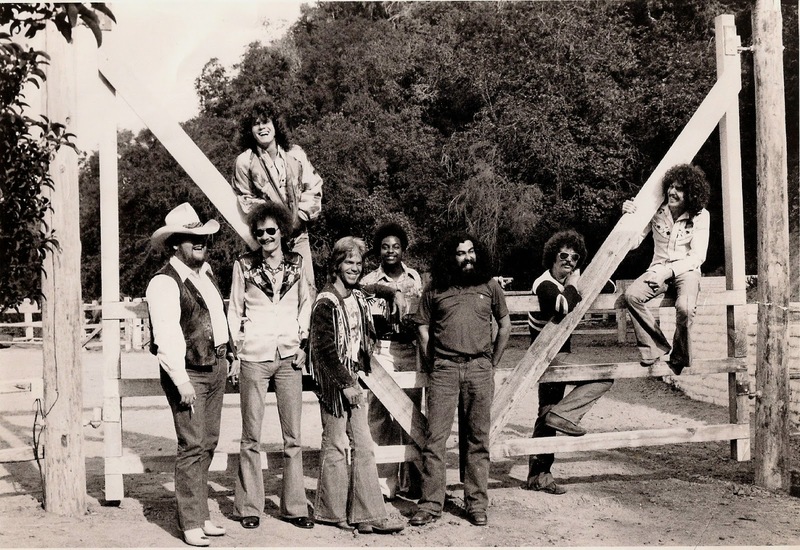 The group featured on the album was comprised of Pete Hoorelbeke aka Rivera (drums and lead vocals), Gil Bridges (saxophone, flute, percussion and vocals), John Persh (bass, trombone and vocals), Rod Richards (guitar and vocals) and Kenny James (organ and keyboards). The album yielded a sizable hit single with its title track (written by William “Smokey” Robinson of Smokey Robinson and The Miracles fame), edited to just under 3 minutes from the LP version’s 21 minute plus run time. The single edit is available on the 1995 Motown “Anthology: The Best Of Rare Earth” as well as appearing as a bonus track on Hip-O Select/Motown Records’ 2009 box set, the 3 CD “Fill Your Head: The Studio Albums 1969-1974.” The versatile instrumentation within the band lent itself to long jam songs like “Get Ready.” Ironically, the song was included on the album only because the band had run out of material. The single entered the Billboard Hot 100 Singles chart on 14 March 1970, peaking at #4, charting for a respectable 20 weeks and outperforming The Temptations’ original release for good measure. Rod Richards’ fiery, psychedelic guitar is featured on the heavy, rhythm and bluesy sound the band created, although Bridges’ saxophone and flute or Persh’s trombone added a jazzier, breezier element to the music. The LP is, as are all 5 studio albums from this period, included on the Hip-O Select/Motown box set mentioned previously. 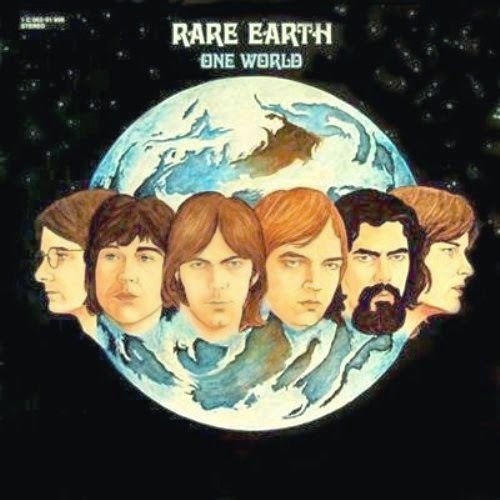 Rare Earth’s third LP “One World” (co-produced by Tom Baird and the band) hit the charts on 17 July 1971, making #28 and lasting 25 weeks. At this point Ray Monette (guitar, vocals) replaced Rod Richards (who later joined Noel Redding in Road) in the band’s lineup. Like Richards, Monette’s guitar work played an essential role in the band’s sound, with Monette’s style displaying exceptional versatility. Mark Olson (keyboards, vocals) likewise replaced Kenny James. The album contained the hit “I Just Want To Celebrate,” which like its predecessor was penned by Baird. The breezy, funky, almost anthemic single did quite well charting for 13 weeks beginning 17 July 1971 and topping out at #7 on Billboard. The single runs about 3 minutes while its LP counterpart goes another 30 seconds or thereabout. The band’s sound was evolving, however, becoming free spirited with more than a dash of breezy, light hearted hippie ethos emerging. As was so popular among bands of the day, Rare Earth’s follow up was an (almost obligatory) 2 LP live set . Prior to the album’s release a studio version of “Hey Big Brother,” written by the duo of Nick Zesses and Dino Fekaris, hit the charts on 27 November 1971, achieving #19 with a run of 10 weeks and featuring a four and a half minute run time compared to the “Rare Earth In Concert” version which ran seven and a half minutes. 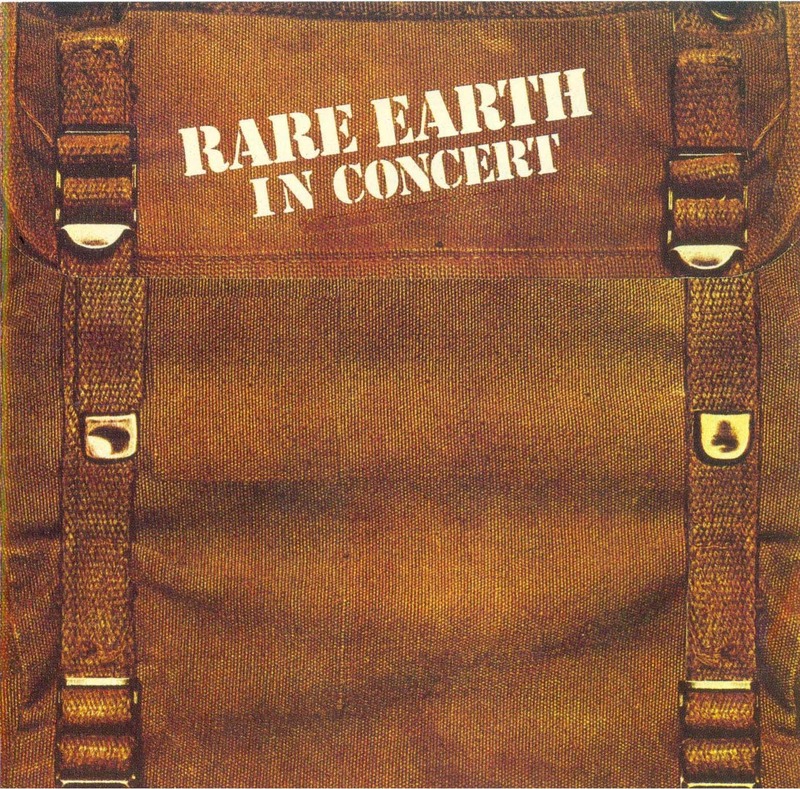 The double live album, “Rare Earth In Concert” entered the charts on 1 January 1972, reaching #29, and lasting 21 weeks. An edited cover version of Ray Charles’ “What’d I Say,” taken from the live set did not fare as well as previous singles, reaching only #61. The single edit is found on “Anthology” only. In addition to the singles and the cover tune, two band originals were included: the exotic, nearly 11 minute “Thoughts” (spotlighting band members individually) and the show closer “Nice To Be With You.” Both songs are credited to the band as a whole. Lacking a hit of its own, the album took full advantage of their run of hit singles showcasing extended jam versions of each. To put it in perspective the album’s 8 tracks had a total run time of nearly 75 minutes, averaging just short of 10 minutes per track, with “Get Ready” stretched to over 23 minutes and “(I Know) I’m Losing You” over 14 minutes. Musicians like the multi-instrumentalists Bridges, Persh, Olson and Guzman made this the band’s strength in concert. The live album probably marks the high water mark as far as popularity for the band and came in a gatefold looking like a backpack, another allusion toward the hippie ethos. The live album is not included in the Hip-O Select 3 CD set, but was reissued in 2005 by Lake Erie Records. 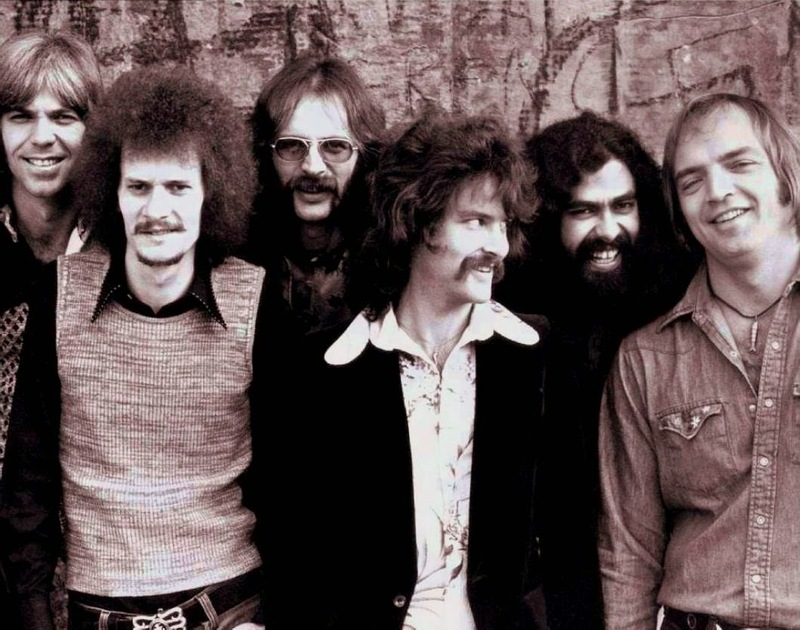 “Rare Earth In Concert” marked a huge turning point in the musical fate of the band. There were to be no more smash hit singles, from within or outside the Rare Earth camp. Unfortunately the band had become identified by hit singles, and in their absence the band’s album sales faltered as well. The band’s next studio album, “Willie Remembers” (again co-produced by Baird and the band) hit the charts on 25 November 1972, peaking at a disappointing #90 while charting for 20 weeks. Michael Urso (bass and vocals) replaced original member John Persh. For the first time, the band put out an album of almost entirely original material. Unfortunately, the album did not sell, despite having more than a few good moments. The album had two singles “Good Time Sally” and “We’re Gonna Have A Real Good Time” but neither sold well, topping out at #67 and #93 respectively. The band’s fortunes were fading. Fortunately for collectors both single edits are included on “Anthology” and serve notice that although the band’s singles were no longer top 10 or even top 20 smashes, they were certainly worthy efforts. But the times had changed. Music headed in a more progressive direction, and the band’s brand of psychedelic rhythm and blues turned breezy, good time music waned in favor. After an aborted effort at a Stevie Wonder produced LP, the final album from this period “Ma” hit the charts 16 June 1973 topping out at #65, spending 20 weeks on the chart. 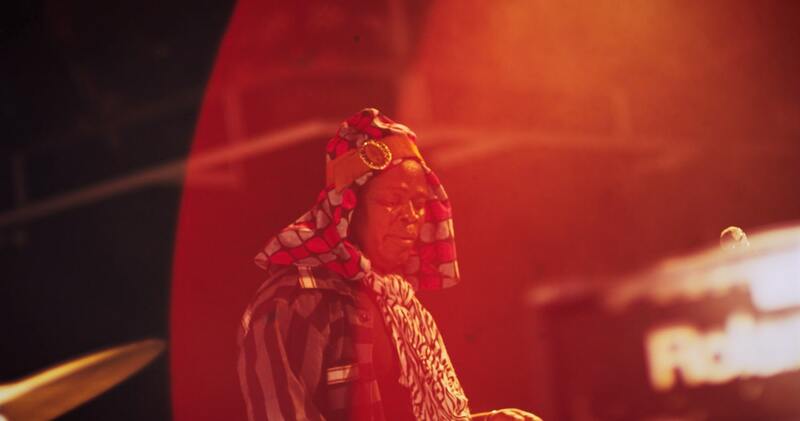 The album was a drastic return to recording all in-house, non-band original tunes, namely an album with songs penned and produced by Norman Whitfiled, whose material had made “Ecology” and its extracted single “(I Know) I’m Losing You,” smashes. In this case, an edited version of the LP side-filling 17 minute title track was released as a single, but failed to catch on, a fate suffered by the album as well. 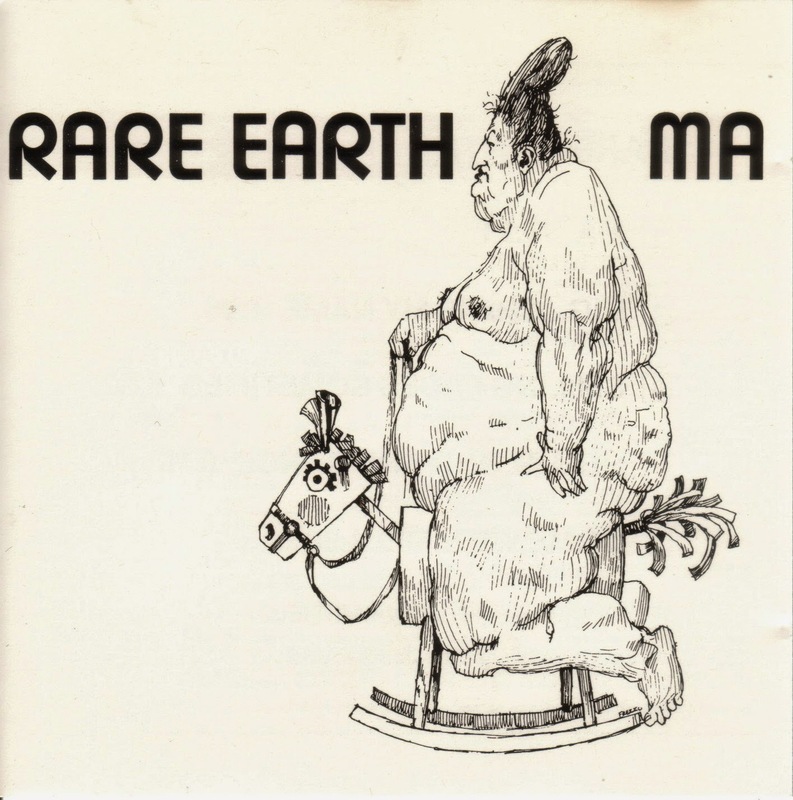 The single version of “Ma” is found only on “Anthology.” The hits may have ceased but by no means did this mark the end of the road for Rare Earth. 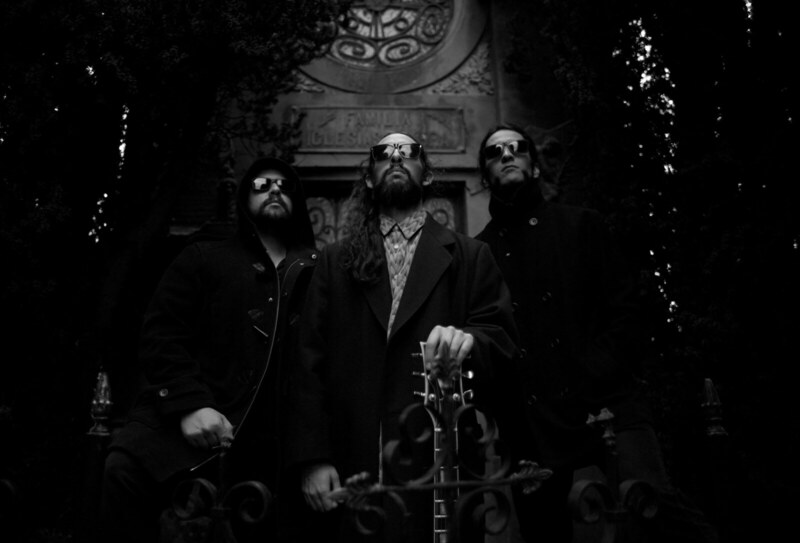 The band, in one incarnation or another, carried on recording and/or performing live with Rivera at the helm for another decade. But by 1974, in reality 1972, Rare Earth was never the same. But boy what a ride it had been, a hit song around every corner, extended album and exciting live versions of the hit singles abounding and fine musicianship all around. The sum of Rare Earth’s 1969-1974 musical legacy is something like this: 5 studio albums released (2 top 20, 4 top 30), and a top 30 double live LP. As for singles, the band had a top 5 hit in “Get Ready,” two #7s “(I Know) I’m Losing You” and “I Just Want To Celebrate” giving the band an impressive 3 top 10 singles. With the addition of “Born To Wander” and “Hey Big Brother,” both #17 hits, the group had 5 top 20 singles. 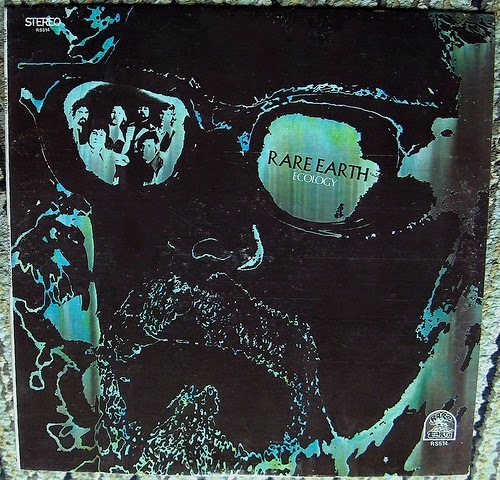 Sonically Rare Earth went through two very specific phases between 1969 and 1974. 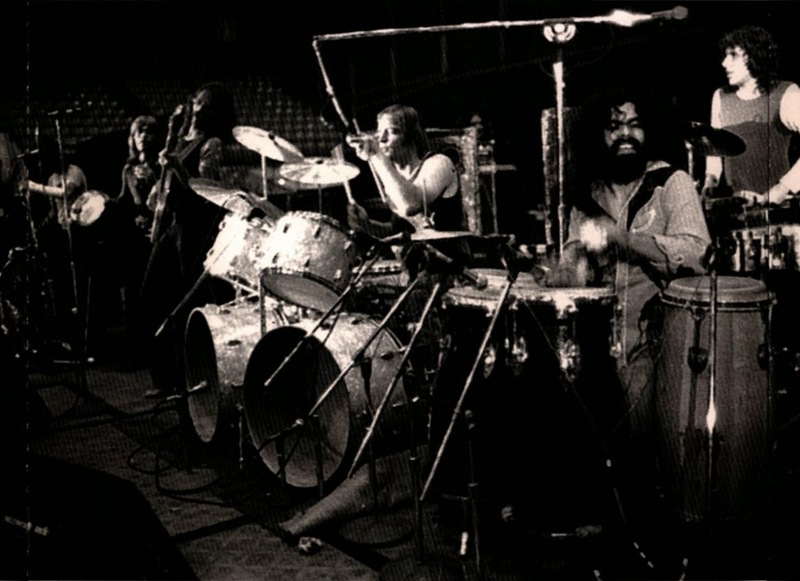 The band’s first two albums contained massive hits written by Motown writers but performed in a heavy rock, psychedelic tinged rhythm and blues style. The first two albums also featured dramatically extended versions of two songs, “Get Ready” and “(I Know) I’m Losing You” that outperformed the original releases by Motown’s The Temptations and marked the band’s first phase. In its next phase the group moved from the Smokey Robinson/Norman Whitfield penned tunes to songs by producer Tom Baird and the songwriting team of Nick Zesses and Dino Fekaris. The ¬band’s sound changed, shifting to more free spirited, jazzier hippie rock. Unfortunately, the new arrangement succeeded for only one album, “One World.” Following their 2 LP live set which sold well riding the wave of (then popular) vastly extended versions of their hit singles included on the set, the band’s subsequent studio albums did not fair so well. Something the Rare Earth catalog offers that most groups cannot is that their best known songs are presented in singe, LP and live versions, rendering a unique opportunity for listeners to compare and evaluate the group’s musical legacy (the hits at least) in three versions. 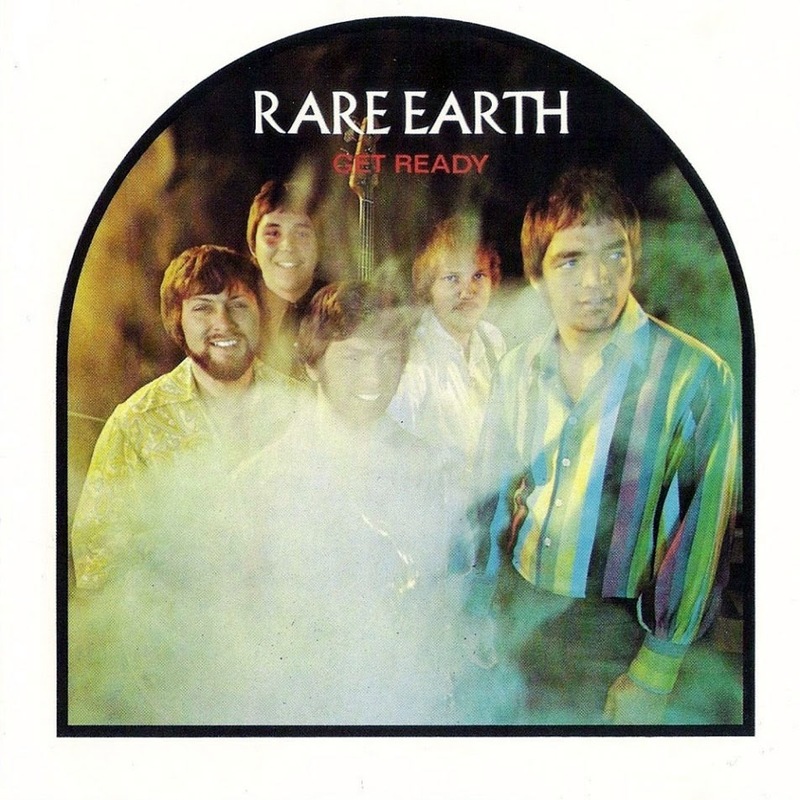 All things considered Rare Earth did not do badly for a white band from Detroit signed to Berry Gordy’s fabled Motown label, lacking in original material and fronted by their drummer/lead vocalist. Not badly at all! Duh - no the error was mine - didn't realise each CD is in the form of one long FLAC. Enjoying it very much. What an underrated band, especially in the UK where they didn't have a single hit!